Our industry tends to use many terms without having strong understanding of them. Pleasure, motivation and addiction are generally mixed up and misused despite being central to entertainment. So much so that the generation of pleasure seems to be the main and only objective of many recent games, to the expense of challenge, and that being addictive is often considered a desired trait for a game. Gasp! In this article, I want to use the standpoint of biology to advocate that the key goal of play is personal development, pleasure only being a consequence of it. In addition, I will show that pleasure without learning only creates an empty experience that can be dangerously addictive. Let’s first debunk a very common confusion by establishing a distinction between fun and pleasure. Pleasurable experiences like eating a good tasting cake aren’t necessarily fun. On the other hand, I think we can admit that everything that is fun is pleasurable. It means that fun is a subset of pleasure and that’s the reason I want to focus on exploring the notion of pleasure. Pleasure is a positive mental state that is the result of electrical stimulation of certain parts of the brain. That stimulation is typically generated by cell receptors after activation by their neurotransmitters, mainly dopamine and different types of endorphins. The actual biochemistry is irrelevant to us except to know that you can bypass the proper triggers of it and still obtain the stimulation of the pleasure centers. This can be done by using replacement molecules that trigger receptors or amplify the effect of native neurotransmitters. 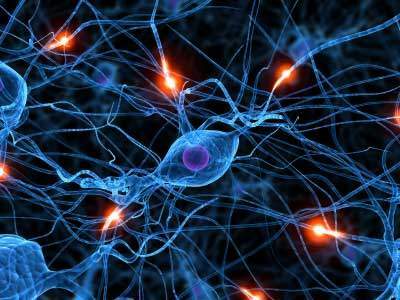 These are actually called psychotropic drugs and affect our central nervous system’s ability to perceive and compute information. Of course induced altered states like being tipsy or plain drunk might seem like a good source of “fun”, but let me hold that thought for now and keep on with the actual discussion on pleasure. Pleasure is a positive mental state that is the result of electrical stimulation of certain parts of the brain. Since it can be “forged”, pleasure on its own has limited value. A famous experiment had monkeys pleasure centers wired so they could activate them at will which led them to constantly push that button and totally ignore to feed themselves, to their ultimate demise. A freely accessible pleasure source can be dangerous and even plain lethal as everything else ceases to represent any interest. This is a good illustration that living beings are complex systems that function in their own environment but are prone to collapse if a modification that they are not adapted to is introduced and that one part of the system gets singled out. Video: The difference between pleasure and fun – The biology of pleasure VS the psychology of fun. Now that we’ve reviewed the mechanisms of pleasure and its limits, let’s try to discuss the possible role for pleasure. Biology considers pleasure as an adaptation mechanism for evolved animals. All living cells can be modified as they split, due to errors in the replication of their genetic code. This is how different traits appear in species and allow mutated individuals to survive evolutionary pressure. 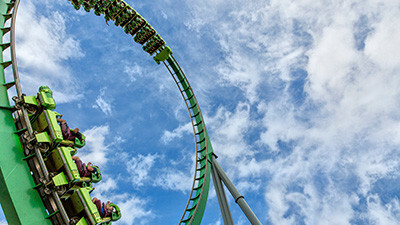 Typically, natural selection is rather a negative type of filtering that eliminates all individuals that can’t survive a change of conditions like the presence of antibiotics if you are a bacteria, the disappearance of low-hanging leaves if you are an small herbivore, or a giant asteroid hitting your planet if you are an ecosystem-dominating razor-teethed dinosaur. Because of how often unicellular organisms can reproduce and how simple their DNA is, they are way more likely to develop different traits and thus be ready to survive environment changes. More evolved organisms like mammals have to wait for sexual maturity to reproduce and mix their DNA to create offspring. Evolved species DNA is so complex though, that traits are dependent on multiple genes, making new traits way rarer to appear. This is where pleasure comes into play (no pun intended). As we saw, pleasure can be an absolute motivator, so if an individual’s brain is wired to give us pleasure in response to a behavior that makes him more fit, this will encourage him to engage in the related activity and help his survival. For example, our brain releases dopamine when we understand something which obviously plays a role in the fact that humans are actually quite smart. Our body generates endorphins after a physical exercise, giving us the post-workout high which motivates us to train again and build more muscle. More interestingly for us, and like most evolved animals, we also trigger pleasure when we play. In nature, the function of play is to develop oneself. Whether you are a cat or a human, fighting your siblings provides a safe environment for personal development as you can learn while remaining in an abstraction of what a real confrontation would be. One could advocate that playing is motivated by the desire to win and the pleasure that comes from it, but I believe that this is merely a motivating consequence and that the real point and cause of it is personal development. The interest of focusing on the latter is that learning and growing our capacities limits the exercise because it is tiring and requires rest to take effect. Muscular exercise only stimulates the body to build more muscular tissue after the training session, just like a student learning his lessons will mainly retain the information as he rests afterward. It is as if, in nature, the balancing element of pleasure is the effort required to obtain it, thus indicating that the true role of it is to motivate evolved animals to engage in activities that will fulfill their needs. Arguably, humans have needs of different types: Physical, emotional, spiritual, social and intellectual. Video games have historically represented a physical challenge with focus on hand-eye coordination and naturally grew into the intellectual sphere by including strategy and puzzles. With more focus on narrative, they started touching on emotions and spirituality, and with the development of multiplayer we are also expanding to social, giving them a pretty good potential as personal development tools. Conditioning makes our brain fire up with excitement, but is it meaningful? But unless they somehow deliver a learning experience they can become a pleasurable but mind-numbing grind that leaves you feeling empty. That type of game that provides pleasure and can be played without effort and thus without limit, I call addictive. It is the type of entertainment that tricks our body and brain to focus on meaningless glitter and look for the next release of dopamine. Pleasure itself is the only currency promoted and the participants pretty much end up like the monkeys in the aforementioned experiment. The function of games is not to give us pleasure as this is only the consequence that motivates us to engage in it. Instead, the value of games is to learn, challenge or develop ourselves in situations that real life wouldn’t allow. If we let ourselves go only after pleasure, we just create a perverted and hedonistic system that doesn’t provide any benefit and instead establishes such a short and easy loop to pleasure that becomes addictive and ultimately destructive to your body, mind and soul. Also read: Fun and uncertainty – Fun is the exploration of uncertainty, ie learning. To my knowledge, biology can’t really help study fun itself, but as a closing note, I would say that fun is experienced when facing uncertainty and having the opportunity to learn from it. A joke will expose you to a breach in logic or an unexpected outcome that engages your brain as he goes through the gap, and will trigger laughter after you finally decoded it, or “got it”. The value of it being that you learn to better understand that given pattern. Similarly, games are fun as they provide a zone of uncertainty to explore and learn from, and lose immediately all their appeal when they are “solved” like tic-tac-toe after a couple rounds. The common point here is that fun can only exist in an experience that can be a source of learning or experimenting with the different human needs. Just like novels, movies and valuable entertainment inform you on the author’s vision on human nature, I think it is our responsibility to identify how we want our games to benefit players and to make sure they gain something through playing. 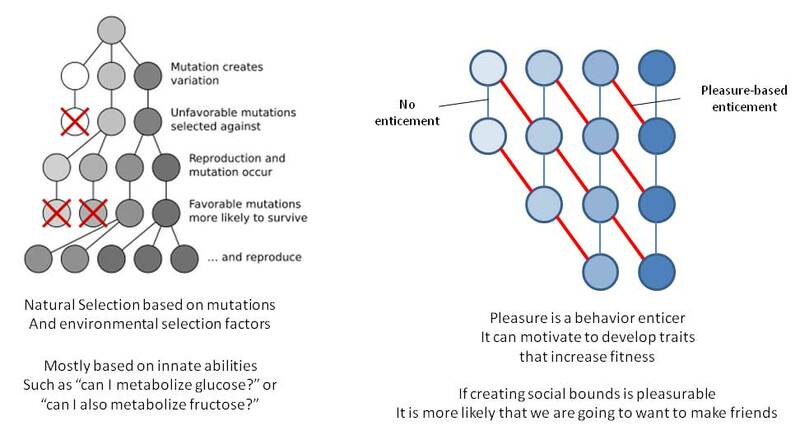 Biology can help us differentiate between pleasure and fun. 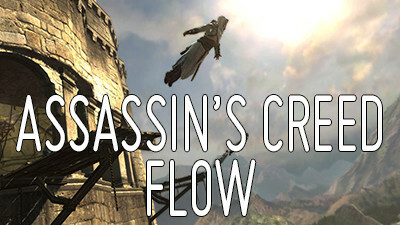 The main motivation loop of Assassin’s Creed that gave birth to one of the key systems of open world games: Towers. I believe there are universal journeys in life and the hero’s path of so many games today is only one of them (and the essential nature of that path could be further developed in the narrative of games). The Hero is about pushing back the boundaries of mortality and intimately learning to live with fear of death. There is another journey that is driven by love, or what many call feelings (although I would argue fear is a feeling, it’s just one we respond to by pushing back). There is a journey inward to know who you are, separate from what the world wants you to be, and to bring that to life. The rules of this world are very different from that of the hero. There are friends rather than allies, individuals matter more than the group, there are gifts that allow you to explore your passion and know your intrinsic value rather than challenges that pull you forward with the potential of a reward. Beauty and self care bring you to your dream in this journey described by Jung as the Virgin archetype. I would say that the archetypes that have been developed to study or create stories, like Joseph Campbell’s hero’s journey are mainly adapted to storytelling and might not directly fit games as they are an interactive medium. The way to relate to passive stories (books, movies …) is empathy, and you react to a protagonist actions in a passive way. You react to Romeo drinking poison when he finds what he thinks is a deceased Juliet, but if you were to be Romeo in a game that you were trying to win, you would first try check her pulse and breathing. So, even if narrative is not the point of this article, I think that we should be wary of using traditional narrative tools and theory to game as an interactive medium.